Chris recently wrote and recorded a song, each day, for about three weeks. The result is “Razzmatazz” – 16 songs, just vocal & guitar, recorded in his bedroom (in South Pasadena, CA) on a hand-held voice recorder. 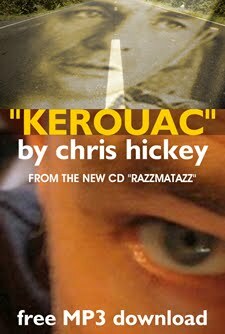 The record is available now on ChrisHickey.net and will be widely available in September.